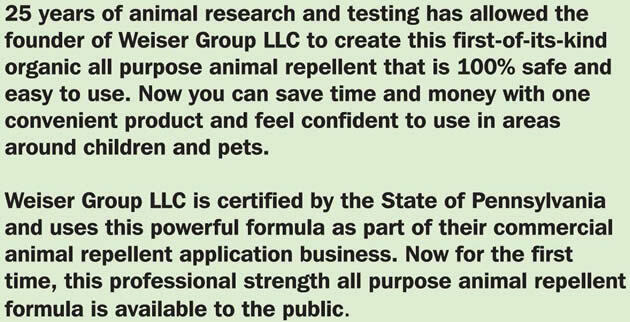 Animal Defense Granules (scent attack) 22 OZ. -Granules won't wash away when it rains or when you water your yard! -Creates a defensive barrier around your yard. -Use by itself, or combine this product with the Yard Repeller Pro to provide the maximum level of defense. 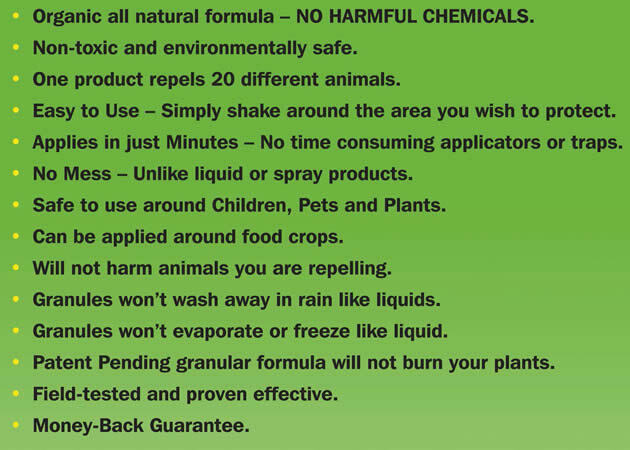 -Nature's Defense has proven extremely effective against deer, rabbit, cats, dogs, raccoons and even burrowing critters!